I hung this feeder a couple of weeks ago, loaded it up with bird feed. So far they, the birds, have ignored it. I’m guessing that they have plenty of other food sources which is why they haven’t touched this seed. With all the wet weather the seed has sprouted. I thought it would be worth a photo. I guess the birds aren’t hungry. Hence the overgrown feeder. This entry was posted in Local (To Me !!! 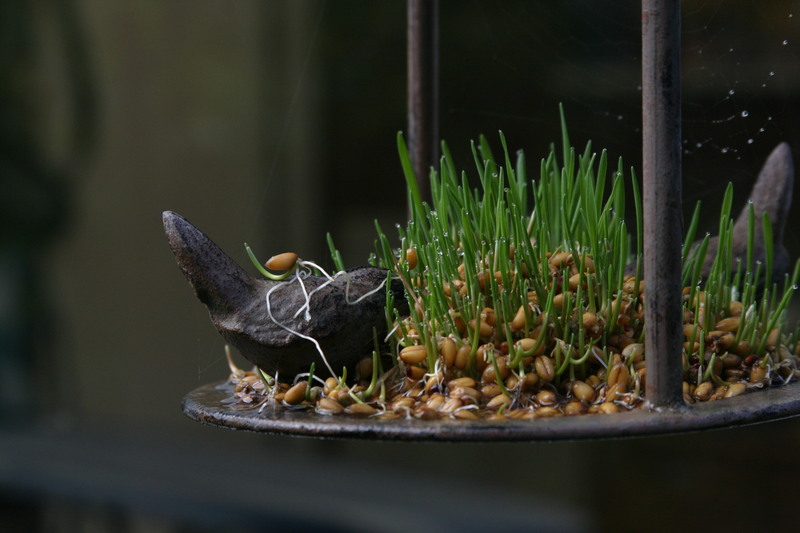 ), Photo and tagged bird feed, Bord Feeder, nature, seed, wet weather. Bookmark the permalink.